Why is heat loss through solid walls such a significant energy efficiency issue in UK properties? Currently, nearly a third of the UK’s building stock includes solid wall construction. That’s just two thin layers of brickwork and plaster between us and the outdoors. These old buildings are often hugely inefficient and require significant interventions to become better, more efficient and future-proof. After all, there’s no cavity to hold insulation, and external cladding systems are expensive and completely change the often desirable aesthetic of the exterior envelope. Internal interventions are often even more costly as they significantly shrink rooms and require electrics, plumbing and other fittings to be adjusted. The impact of solid walls isn’t just their inherently poor thermal efficiency but also their exposure to the elements. This means UK exteriors can retain a significant amount of water within the wall, especially in areas which suffer from driving rain. What is the impact of such heat loss, for both residents and sustainability? The impact of heat loss is huge in economic, environmental and social terms. It’s widely known that up to 45% of heat loss occurs through solid walls. 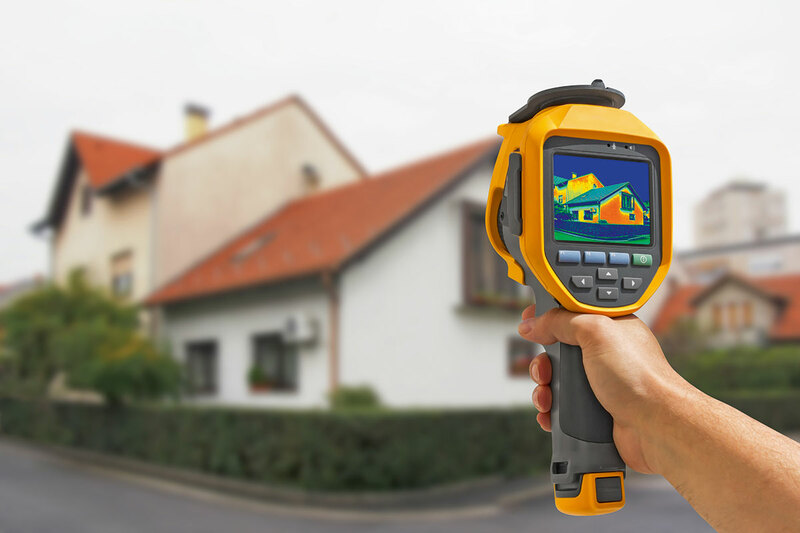 This means that up to 66% of every building’s energy bill is hugely impacted by heat loss through its walls. This contributes to our rising energy costs but also to fuel poverty, which is currently increasing across the UK. Fuel poverty greatly impacts on well-being, on residents’ quality of life, and therefore likely on the demand for local NHS services. All this wastage also creates more demand for further energy generation. And despite great improvements, the UK’s energy mix remains heavily reliant on environmentally harmful fossil fuels. What role does AkzoNobel/Dulux Trade want to play in addressing these challenges? AkzoNobel Decorative Paints in the UK and Ireland has an embedded commitment to improving the sustainability profile of our company and our industry as a whole. Our trade portfolio in particular is at the forefront of this, with market-leading brands such as Dulux Trade. Our Dulux Decorator Centre stores also offer additional services to enable our products to be used more sustainably. We are also dedicated to providing services and advice to ensure they can be used safely and responsibly – we offer technical support in the field to help people get it right first time. This leading approach has been recognised externally – for many years we have been high rankers in the Dow Jones Sustainability Index (we are currently number one in the chemicals sector), and have also retained the triple Carbon Trust Standard once again. A number of years ago, AkzoNobel launched Planet Possible, a renewed commitment to sustainability involving working together with our customers and suppliers to deliver more value from fewer resources. We demonstrate this commitment to drive the sustainability performance within the built environment sector as a whole by playing a leading role in the UK Green Building Council (UKGBC). It was, in part, through our involvement with the UKGBC that we came to appreciate how low the uptake of existing insulation solutions has been for properties with solid wall construction. Hence our journey to find a more accessible solution, which has concluded in our new energy-saving Dulux Trade Plus range. How are you seeking to address these issues through your products? AkzoNobel has a strong track record of sustainable innovation. The Dulux Trade Plus range is a new type of coating solution for us but, in essence, is just the next chapter in a long list of product innovation involving sustainable solutions for our customers. We’ve also sought to lower the environmental footprint of our products without compromising quality. When we started this journey, we collaborated with Forum for the Future to create an Environmental Impact Analyser (EIA), which helped us to quantify and compare the environmental impact of different formulations. As time has progressed, we have made much of the information in the EIA accessible and published environmental product declarations. More than 50 million litres of leftover paint goes to waste in the UK every year, and we are also working to reduce that. For 25 years we have sponsored Community RePaint, a network that collects and redistributes leftover paint to community groups and those in social need. We are committed to increasing the reuse of leftover paints to colour lives across the UK. How are you working with the housing sector to help improve energy efficiency in UK properties? Recognising the issues faced by the housing sector, we have launched two new revolutionary products to help cut heat loss through solid wall construction – delivering energy savings and helping to improve comfort levels. Dulux Trade Plus Thermacoat+ is a three-part coating system, proven to reduce heat loss through solid walls by up to 18% (see duluxtradepaintexpert.co.uk/editorial for details on how this figure is calculated). The internal wall coating system comprises an innovative basecoat with insulating properties, a levelling fibreglass fleece and Dulux Trade Plus Smooth & Protect+, a protective mid-coat that provides a tough, durable finish that can be overpainted with standard emulsion. With a finished thickness of just under 6mm, the Thermacoat+ system enables building owners to enhance spaces, improve occupant comfort and save money with minimal disruption to wall fittings. Dulux Trade Plus Thermacoat+ has a proven thermal conductivity value of 0.05 W/mK and is certified by the British Board of Agrement (17/5445). The second product in the range, designed specifically for undecorated external brickwork, is Dulux Trade Plus Smartshield+. This is an invisible waterproofing coating that dramatically reduces water ingress without sealing the surface, allowing the wall to breathe and dry out (go to duluxtradepaintexpert.co.uk/editorial for more information). Solid walls with higher moisture content release significantly more heat than those with lower moisture content. Therefore, Dulux Trade Plus Smartshield+ works to help walls stay dry in rainy weather, improving thermal efficiency while retaining the look and feel of a property. Peter Howard is public sector lead at AkzoNobel Decorative Paints UKI. He has 11 years’ experience delivering transformational improvements including revolutionary products, innovative sustainability programmes and evidence-based colour and design propositions.